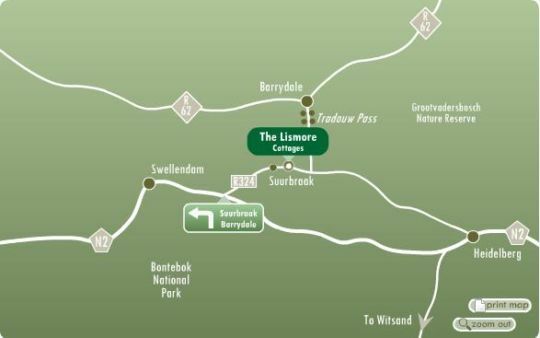 Take the N2 from Swellendam towards Port Elizabeth for 10km. Turn off left at the Suurbraak/Barrydale sign. Carry on through the quaint town of Suurbraak. Find us 3km on, turning off to the left at the sign Lismore Jerseys.